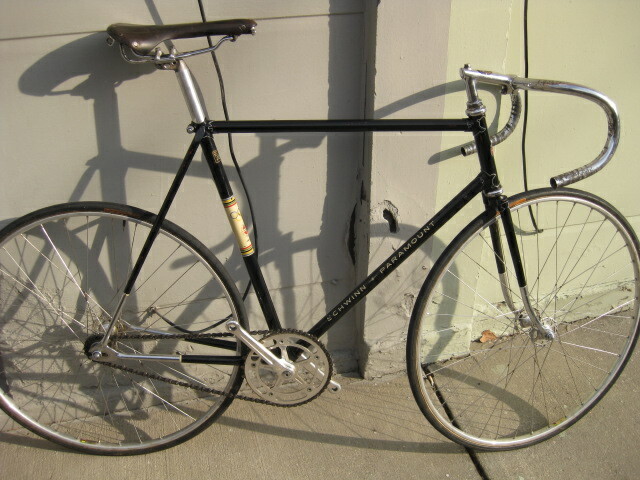 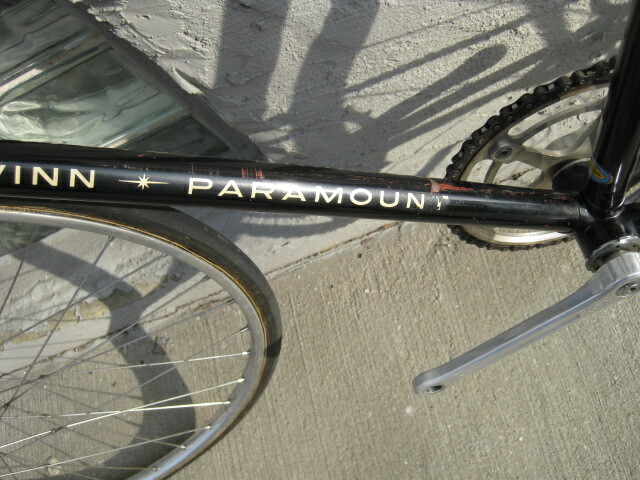 1971 Schwinn Paramount with all cool stuff a Paramount could have. 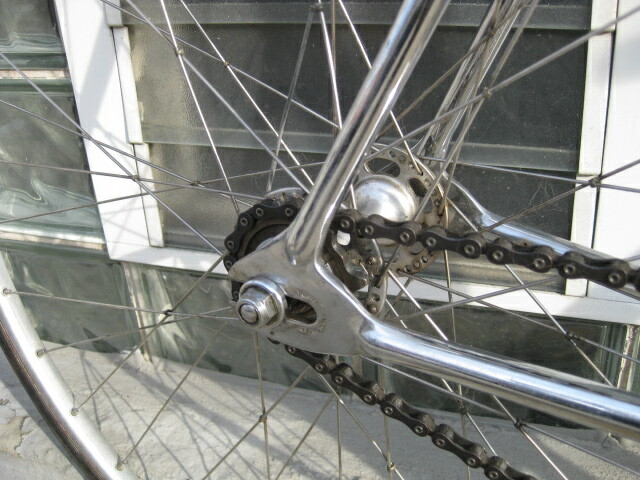 Reynolds 531 double butted through out, Nervex Pro lugs, boxlined. 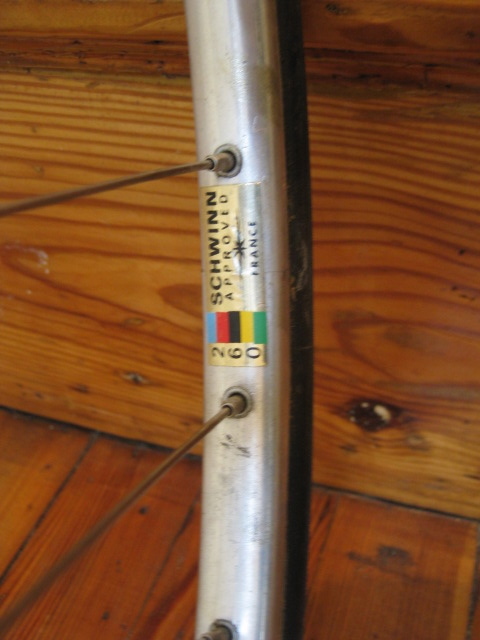 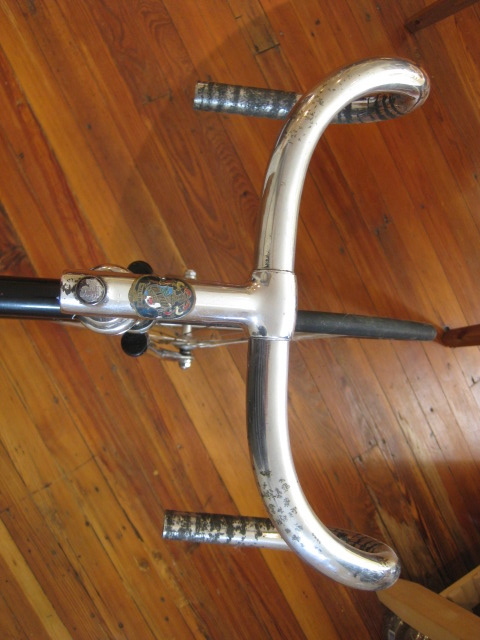 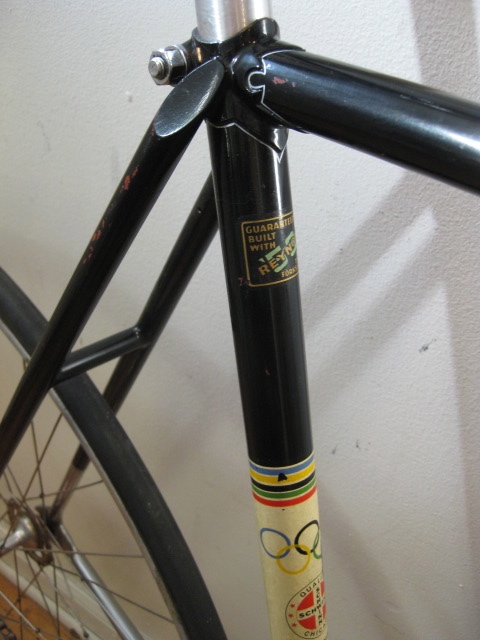 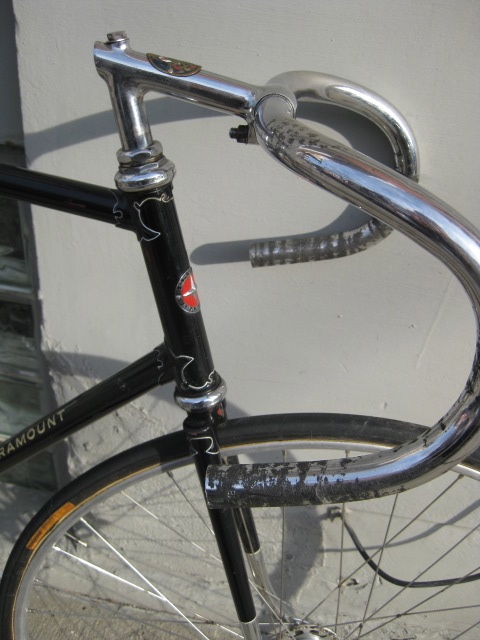 57cm center to center seattube. 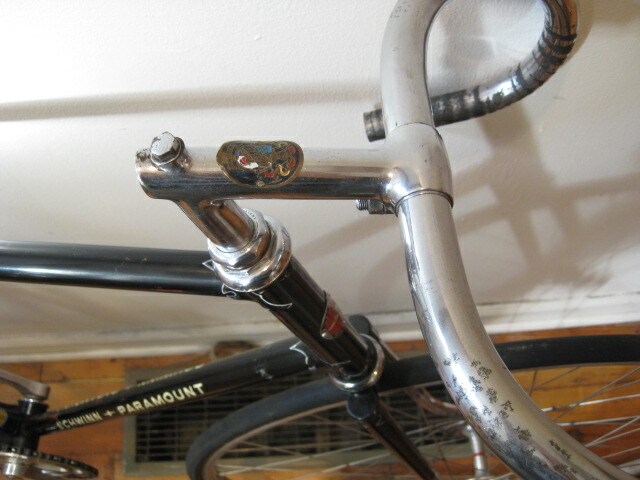 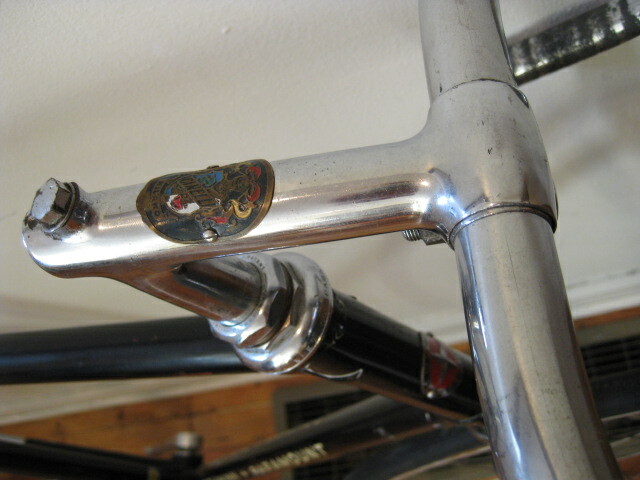 56cm center to center toptube. 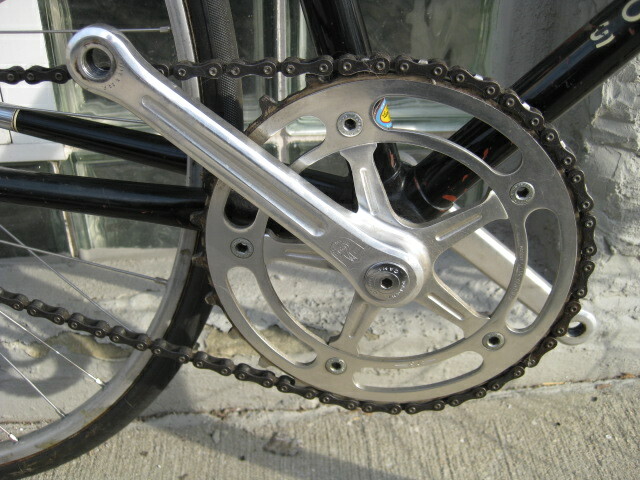 Campagnolo Pista cranks with inch pitch chainring, and campagnolo inch pitch cog. 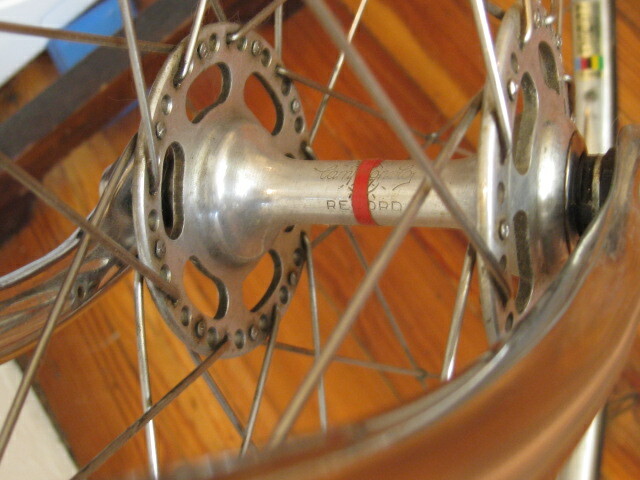 Campagnolo Nuovo Record track hubs(Schwinn double drilled hubs), tied and soldered in Schwinn Approved tubular rims. 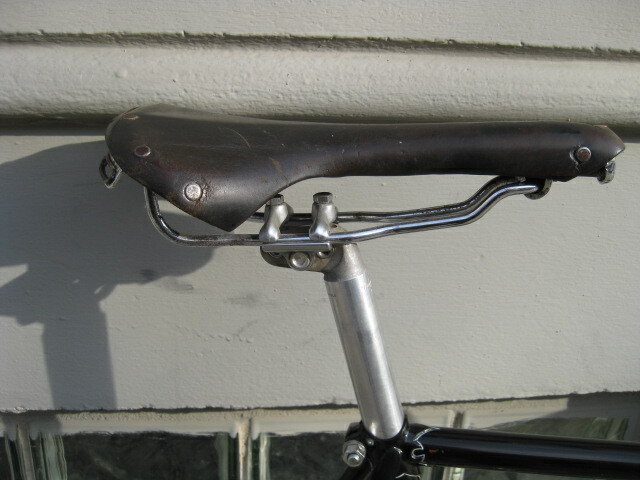 Campagnolo nuovo Record headset, BB, and seatpost. 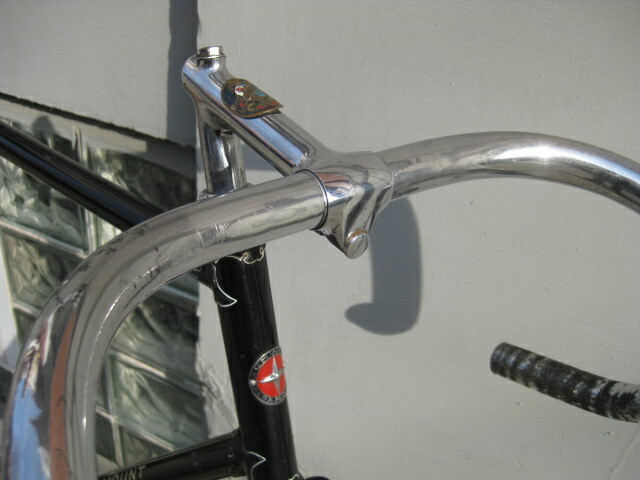 early 1960s Brooks Swallow in excellent condition. 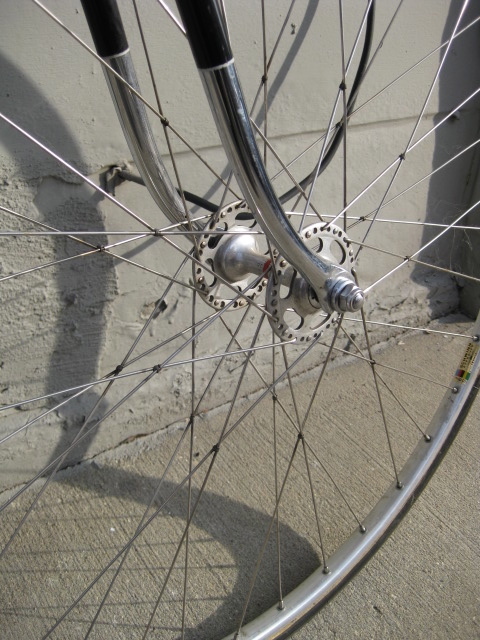 black sidewall Continental sprinter tires. 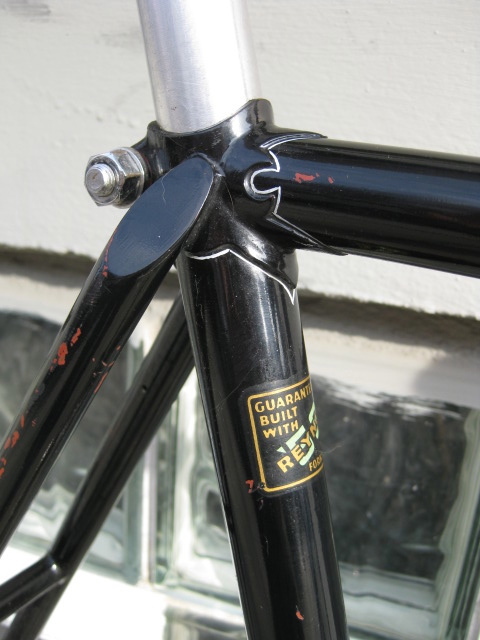 The paint is original and shows some scratches and wear, but still shiny and great! 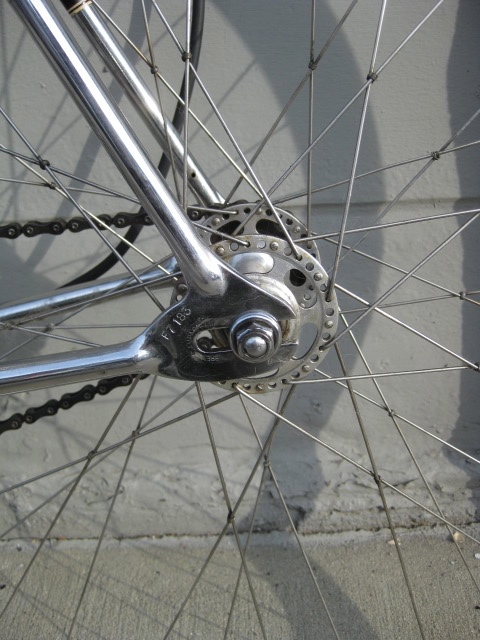 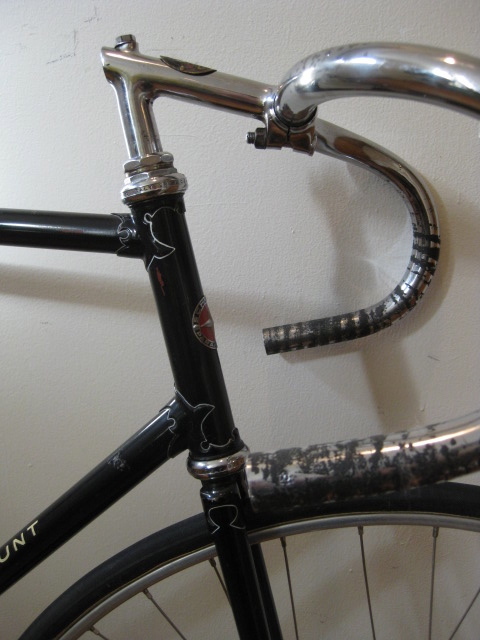 drilled for a front brake, not drilled for a rear brake.